This is a 16th century royal castle. 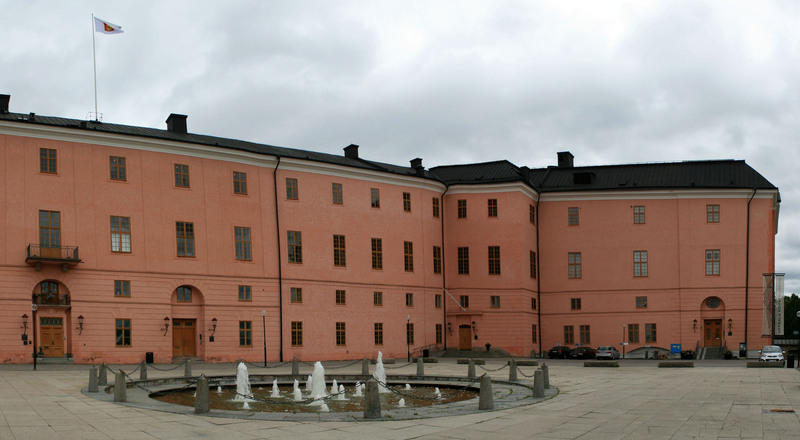 Throughout much of its early history, the castle played a major role in Sweden’s history. It was here also that King Gustavus II Adolphus announced that Sweden should participate in the 30 Years War. In this castle, the Swedish government announced the abdication of Queen Kristina in 1654. The fire in 1702 which destroyed much of Uppsala did not spare the castle, reducing it to little more than a ruin. Reconstruction took many years, hampered mostly by the castle’s stones being taken for the rebuilding of Stockholm Palace.